It seems that when you begin to spin lies, and when you provide interviews about those lies, you have an obligation to keep the information straight. If you say the event took place in 1948, then you can’t move it to 1950 or to 1955 without someone noticing. And you should know what type of military aircraft were available in the inventory in 1948 so that you don’t claim to have been flying something that wouldn’t appear for years. (I might point out that you should also remember the type of aircraft you were flying and I base this on my own experiences as a military pilot.) If you’re going to tell a good story, you should make sure that you have enough facts straight so that it can’t be broken apart quickly and easily, when people begin to investigate. Well, I just was given a transcript of an interview with Robert Willingham and his claim to have seen a crashed flying saucer. It is dated May 1978 and provides us with still another version of his story, or rather a modified version of that story. According to it, in May 1978, he was a lieutenant colonel (an O5 in the military vernacular) in the Air Force, or so he said. Actually, as I have pointed out time and again, he was in the Civil Air Patrol, an auxiliary of the Air Force. It is made up of civilians who receive no real compensation for their service and are a vital part of the country’s search and rescue component, but who are not part of the Air Force or the Air Force Reserve. Lyndon Johnson wasn’t president after 1978 (or 1969 for that matter if you count the days prior to Nixon’s inauguration) and in fact had died in 1973. There is no way that Willingham could have been promoted to colonel by Johnson. The idea of President Johnson promoting someone appeared in one of the novels by W.E.B. Griffin. I don’t know if that is where Willingham got the idea, but it just doesn’t work the way Willingham said... or Griffin for that matter. While nowhere in the interview do they discuss an actual date for the crash, this puts it before Willingham claimed he went to Korea, and in other interviews, he suggested he served there at the beginning of the war, or in 1950. So, while Willingham claims that Todd Zechel came up with the December 6, 1950 date, the fact is that Willingham himself came up with both the 1948 date and the later 1954 date. I could go on because in this interview Willingham claims he was flying a F-94, but these weren’t in the inventory in 1948 or 1950... He talks about the UFO being confirmed by radar on the DEW Line, but it didn’t exist in 1948 or 1950. But this is becoming overkill. Clearly the story has evolved, contains elements that are impossible given the timing, and is littered with contradictions. This 1978 interview, which was clearly coached given the questions and wording of the answers, proves that there is little truth in the December 6, 1950 crash or any other that Willingham claims to have seen. I hope this will end it, but given the nature of UFOlogy, I know that it won’t. Nothing ever dies in UFOlogy, it’s just repeated endlessly. Billy Cox, over at the Herald-Tribune has written a short piece called, “Klass act, no principles,” (see http://tinyurl.com/8793hjt). In it he suggests that Steve Pierce, a buddy of Travis Walton, he of Fire in the Sky and abduction fame (see here at the 2011 Roswell Festival), had been offered, by Klass, ten thousand dollars to say that they had hoaxed the whole thing. My first reaction was to reject this idea because, even for Klass, it seemed a bit excessive. And then I thought back to the long article I had posted here about Klass and his attacks on witnesses and researchers and his attempts to make their lives miserable. For a full analysis, see my September 11, 2011 blog entry about Klass’ letter writing campaign. Klass was one of those who knew that there had been no alien visitation and because there had been none, anything suggesting otherwise was a misinterpretation at best and an outright lie at worst. He was not above leaping to conclusions or providing information that was, at best, misleading. In the Socorro UFO landing case, he invented a plot between the mayor of the town and Patrolman Lonnie Zamora to create a UFO landing to boost tourism. Oh, I suppose you could say that he just got the timing wrong, and that the attempt to promote tourism followed the UFO sighting rather than the other way around. It was an explanation that was weak to begin with and I don’t believe there are many who accept it today. But it is out there for those who don’t have much in the way of critical thinking skills. So, given all that, it really isn’t much of a leap to believe that Klass (see here) would offer money to Pierce to “admit” to the hoax. I’m sure Klass just rationalized it by thinking that he wasn’t bribing him to make up a story, but paying him for his honesty in finally telling the “truth”... or rather what Klass wanted to believe was the truth. For some bizarre reason, the Wilbert Smith documents have gained new life and I’m not sure why. Smith was a Canadian radio engineer who worked with, or for the government and was well thought of. He was, for example, the Senior Engineer at the Canadian Department of Transport. He also, according to researcher Grant Cameron, was responsible for “Radio Ottawa” where the Canadian “spies” reported in and which also monitored Soviet communications. Yes, I wondered about Canadian spies as well, but that something for another time. For the past several years we have been engaged in the study of various aspects of radio wave propagation. The vagaries of this phenomenon have led us into the fields of aurora, cosmic radiation, atmospheric radio-activity and geo-magnetism. In the case of geo-magnetics our investigations have contributed little to our knowledge of radio wave propagation as yet, but nevertheless have indicated several avenues of investigation which may well be explored with profit. For example, we are on the track of a means whereby the potential energy of the earth's magnetic field may be abstracted and used. On the basis of theoretical considerations a small and very crude experimental unit was constructed approximately a year ago and tested in our Standards Laboratory. The tests were essentially successful in that sufficient energy was abstracted from the earth's field to operate a voltmeter, approximately 50 milliwatts. Although this unit was far from being self-sustaining, it nevertheless demonstrated the soundness of the basic principles in a qualitative manner and provided useful data for the design of a better unit. The design has now been completed for a unit which should be self- sustaining and in addition provide a small surplus of power. Such a unit, in addition to functioning as a 'pilot power plant' should be large enough to permit the study of the various reaction forces which are expected to develop. We believe that we are on the track of something which may well prove to be the introduction to a new technology. The existence of a different technology is borne out by the investigations which are being carried on at the present time in relation to flying saucers. 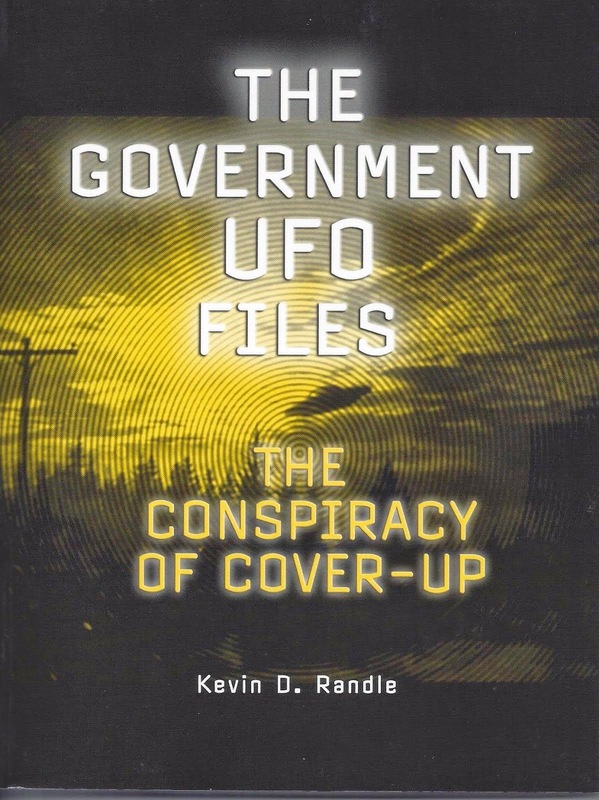 While in Washington attending the NARB Conference, two books were released one titled "Behind the Flying Saucer" by Frank Scully, and the other "The Flying Saucers are Real" by Donald Keyhoe. Both books dealt mostly with the sightings of unidentified objects and both books claim that flying objects were of extra-terrestrial origin and might well be space ships from another planet. Scully claimed that the preliminary studies of one saucer which fell into the hands of the United States Government indicated that they operated on some hitherto unknown magnetic pinciples. It appeared to me that our own work in geo-magnetics might well be the linkage between our technology and the technology by which the saucers are designed and operated. If it is assumed that our geo-magnetic investigations are in the right direction, the theory of operation of the saucers becomes quite straightforward, with all observed features explained qualitatively and quantitatively. a. The matter is the most highly classified subject in the United States Government, rating higher even than the H-bomb. c. Their modus operandi is unknown but concentrated effort is being made by a small group headed by Doctor Vannevar Bush. d. The entire matter is considered by the United States authorities to be of tremendous significance. I was further informed that the United States authorities are investigating along quite a number of lines which might possibly be related to the saucers such as mental phenomena and I gather that they are not doing too well since they indicated that if Canada is doing anything at all in geo-magnetics they would welcome a discussion with suitably accredited Canadians. While I am not yet in a position to say that we have solved even the first problems in geo-magnetic energy release, I feel that the correlation between our basic theory and the available information on saucers checks too closely to be mere coincidence. It is my honest opinion that we are on the right track and are fairly close to at least some of the answers. Mr. Wright, Defence Research Board liaison officer at the Canadian Embassy in Washington, was extremely anxious for me to get in touch with Doctor Solandt, Chairman of the Defence Research Board, to discuss with him future investigations along the line of geo-magnetic energy release. I do not feel that we have as yet sufficient data to place before Defence Research Board which would enable a program to be initiated within that organization, but I do feel that further research is necessary and I would prefer to see it done within the frame work of our own organization with, of course, full co-operation and exchange of information with other interested bodies. I discussed this matter fully with Doctor Solandt, Chairman of Defence Research Board, on November 20th and placed before him as much information as I have been able to gather to date. Doctor Solandt agreed that work on geo-magnetic energy should go forward as rapidly as possible and offered full co-operation of his Board inproviding laboratory facilities. Acquisition of necessary items of equipment, and specialized personnel for incidental work in the project. I indicated to Doctor Solandt that we would prefer to keep the project within the Department of Transport for the time being until we have obtained sufficient information to permit a complete assessment of the value of the work. It is therefore recommended that a PROJECT be set up within the frame work of this Section to study this problem and that the work be carried on a part time basis until such time as sufficient tangible results can be seen to warrant more definitive action. Cost of the program in its initial stages are expected to be less than a few hundred dollars and can be carried by our Radio Standards Lab appropriation. Attached hereto is a draft of terms of reference for such a project which, if authorized, will enable us to proceed with this research work within our own organization. That is the full text of the document and it is clearly a document that was held at a high level of classification by the Canadian government. But there are some things that we can say about it. First, this is a report by one man telling of his meetings with others and some of their discussions. For the parts that interest us, which is, of course, the material relating to UFOs, there is no outside corroboration of the facts as he stated. It is clear that he is reporting what he believes to be the truth, as told to him by others, but that doesn’t get us to a point where there is an official confirmation of the data by either the Canadian government or by the United States. In that respect, this is similar to the FBI document that generated all that interest last year. Yes, that document referred to UFO crashes, and yes it was an official FBI document, but that report seemed to be generated by the Frank Scully book and not by anything official. This seems to be some of the same thing. Might I relate a bit of personal experience here. I had appeared on a national television program in 1991 and before I could get home, some fellow had attempted to contact me with important information and with evidence in the form of classified documents. He had received them from an inside government source who was credible, but who, because of his government position wanted to remain anonymous. The Eisenhower Briefing and the Truman memo from MJ-12. I don’t know where he got his copies, but by 1991, they were floating all over the place. If the man had truly gotten them from an inside source, and had we had the name of the source so that we could verify his government connections, that would have been one thing. But we didn’t, so that information was as useless as the rest of the MJ-12 documents. This document created by Smith is a report by a member of the Canadian government about several issues, including the flying saucers. He does make reference to two books, one, Behind the Flying Saucers has been discredited, and the other, by Major Don Keyhoe does not talk of crashes and bodies, but of the cover up by the Air Force. Smith doesn’t mention any other sources of information and that seems to be a critical point here. What we have to do is see it in the context of the time and the context with which it was written. It wasn’t an official government study approved up and down the chain. It wasn’t designed to prove anything about UFOs one way or another. It was simply a report by one man about a conference he attended and he mentioned the UFOs as part of the discussions that took place there, unofficially. In other words, it is interesting, but it doesn’t provide the evidence of either flying saucers or government cover ups. It is a document composed of rumor without foundation, and unfortunately, that is all that can be said for it. Sometimes you see something that just makes no sense. I stumbled across several web sites that proclaimed that Philip Corso was the highest-ranking officer to talk about Roswell. Overlooking that much of what Corso claimed has been discredited, let’s just deal with this other claim. First, we must realized that Corso was not a colonel (known as an O6 in the military) but was a lieutenant colonel (known as an O5). Some believed that he was promoted upon retirement, as often happens in the reserve, but there is no documentation to support this, and while Corso held a reserve commission, he had spent his career on extended active duty (known as EAD in the world of the military). 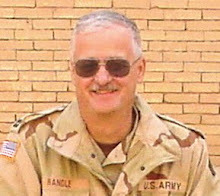 That he was known as a colonel is a mistake though he would be addressed as “colonel” and referred to as “colonel” in conversation, in formal correspondence he would be addressed as “lieutenant colonel.” His rank insignia would be a silver leaf while that for a colonel is a silver eagle. Second, there are two brigadier generals, Thomas DuBose and Arthur Exon who have spoken about the Roswell case. DuBose was General Ramey’s Chief of Staff (and not his aide as he has been identified on some of the sites) and told us about transferring debris from Roswell, through Fort Worth and onto Washington, D.C. He also said, on tape, that the material in Ramey’s office was parts of a weather balloon and not what had been found outside of Roswell and sent on to higher headquarters. Exon was a lieutenant colonel at Wright Field in 1947 and later, as a brigadier general was the base commander at Wright-Patterson AFB (think of this as a mayor of a good-sized city). 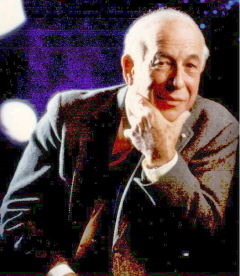 He told us (and here I think of me along with Don Schmitt and Tom Carey) about what he had seen and heard about Roswell, including flying over the crash site. His information about the case was both direct and indirect. Third, there are Colonels... Patrick Saunders and Edwin Easley who were both at the base in Roswell in July 1947, and both who retired in a higher grade than Corso. Saunders is responsible for a notation in one of the Roswell books that I wrote with Don Schmitt that suggested that the cover up was in place, that it was an alien craft, and that he hadn’t mentioned it. Easley was the provost marshal (think chief of police and please notice the spelling with but a single “L”) in Roswell and was responsible for the security at the crash site (whatever that crash might have been). He told me, in a private interview, that he believed it to be of an extraterrestrial craft. Yes, that’s a paraphrase of his saying that we weren’t following the wrong path when I said we believed it to be extraterrestrial. Corso spun an interesting story, but the facts are he was not the highest ranking officer to talk about this, he was not in the right place to see anything in 1947, and there were gaps in his knowledge that would suggest he knew no more about this than someone who had read a few of the books and viewed some of the web sites. 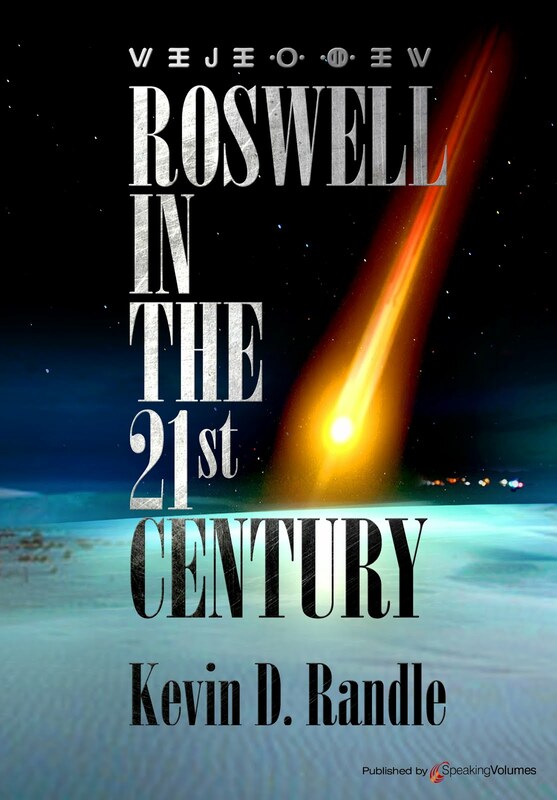 His story is interesting, but has little relevance to our understanding of the Roswell case. Well, the votes are in and I’m a little surprised. I thought Destination Truth (20 votes or 13%) would do better than it did. Sure, they really never find anything extraordinary but they seem to have a great deal of fun trying. They don’t take themselves seriously and that might be half the appeal. UFO Hunters (40 votes or 27%) did very well, but then, since this blog is mostly about UFOs, that isn’t much of a surprise. I’ve always been a little annoyed at the show but only because of its sense of wonder. Everything seems to surprise them, even stuff that the rest of us have known for decades. Fact or Faked: Paranormal Files (23 voted or 15%) has come under some criticism here, but only because it seems that they sometimes miss the obvious. I wonder if that isn’t because if they find the obvious, then there isn’t much of a show left. They have done some very interesting things, solved some of the mysteries, and added another layer to a few. Ghost Hunters (15 or 10%) didn’t do well here, but again, it might be that the subject is too narrowly defined for the audience here. I confess that I have little time for chasing ghosts and don’t care to watch others do it. But, of course, the big winner was None of the Above. After I put up the poll, I realized that I had missed any number of other shows that appeared on other cable channels such as Paranormal Kids, which frankly, has little appeal to me. I suppose the question that needs to be asked is what of all the shows devoted to these sorts of investigations and I would include Brad Meltzer’s Decoded in this, do any of you watch. And no, Gold Rush and Storage Wars do not count.